Benitez a ‘big fan’ of Huddersfield star – Could NUFC make a bid this summer? – NUFC blog – Newcastle United blog – NUFC Fixtures, News and Forum. The Chronicle have confirmed that Huddersfield star Aaron Mooy is a player they know Rafa Benitez is ‘fond of’ – suggesting the Spaniard could make a summer move for the midfielder if he stays this summer. This is obviously providing Huddersfield go down – which looks very likely – but I highly doubt they’ll be able to keep a hold of him if they did drop down into the second tier, with him showing over the past few seasons that he’s more than capable at Premier League level. 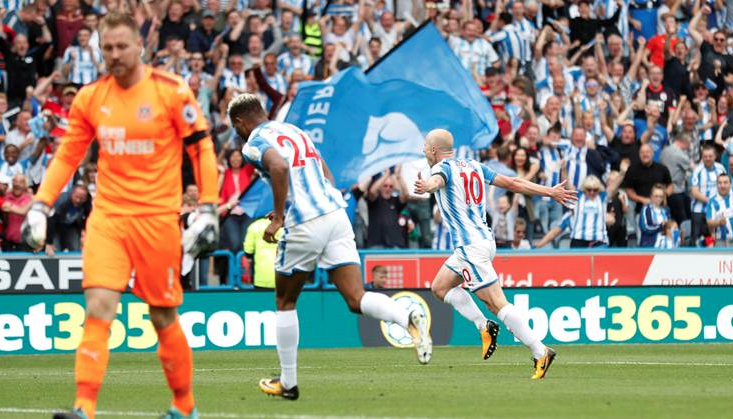 ‘Aaron Mooy is a player well known in these parts going back to the Championship days when Newcastle and Huddersfield were competing against each other for promotion. Controversial thought, but if a big bid came in for someone like Shelvey, I would not be surprised if Rafa cashed in and replaced him with Mooy. His passing range is impressive – albeit not quite at the same level as Shelvey’s – but he’s tenacious off the ball, seems to score more goals than Jonjo and is more probably more suited in a side that sees less of the ball.